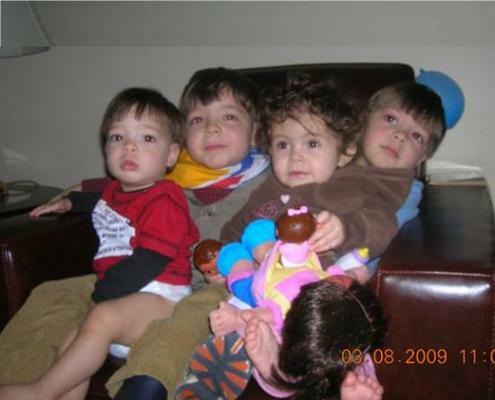 ...here is a picture of my boys with their cousin Rachel, who is a month younger than our Baby T.
This page is a archive of entries in the Family category from May 2009. Family: April 2009 is the previous archive. Family: July 2009 is the next archive.